The Big Sea: What I Know For Sure: It's Not Luck; It's God Favor! What I Know For Sure: It's Not Luck; It's God Favor! 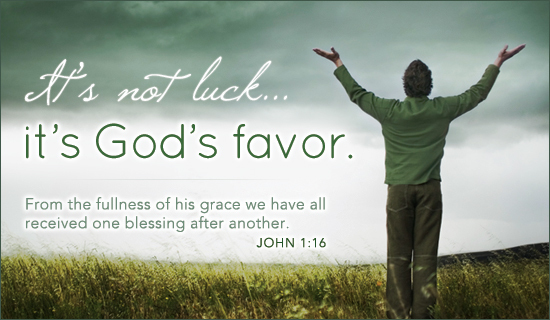 Nothing happens by luck, but EVERYTHING is God's favor! Whenever I make plans, and I believe with all of my heart, without an ounce of doubt, that things will work out just fine, they always do. I know that the key to favor is to have plans, believe, not doubt, rest, and God's favor will run you down. Every one of my summer plans have happened, and they happened just like I planned them. I expected to have a fun filled summer, and my summer has been filled with lots of fun and lots of people whom I really like a lot. I have had not one ounce of doubt, and every plan filled my heart's desire...God's Favor! 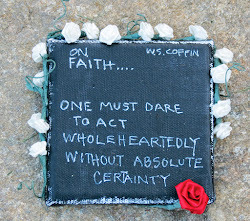 Now, my faith has not always been where it is now. I have allowed my negative thoughts and the negative thoughts of others to interfere with my Favor. But, once I began to stop relying on the opinion of others and only relying on God, favor started to run me down. I have learned to expect the favor of God to run me down literally, and it does!